Glencore International has obtained the support of Viterra's board to make a $16.25 per share takeover offer for the Saskatchewan-based grain handler. The move puts a price tag of $6.1 billion on Viterra. In a news release, the two companies said Glencore will then turn around and sell "the majority of Viterra's Canadian assets" for $2.8 billion to Agrium and Richardson International, two of Canada's largest agricultural firms. In effect, that means Glencore is mainly interested in acquiring Viterra's lucrative overseas assets — including Australia's largest grain handler — while its vast Canadian assets would remain domestically controlled. "The acquisition of Viterra reflects our strong belief in the importance and future potential of the Canadian and Australian grain markets," said Chris Mahoney, Glencore's agricultural products director. "This is an exciting opportunity to deliver the real benefits that can be generated through the combination of Glencore's and Viterra's respective assets, people and know-how to both farmers and customers in Canada, Australia and further afield." Mahoney said that Glencore will use Viterra to build its business in North America. "We will make Regina the platform for our North American agricultural operations and in the future we will look to expansion, with Regina as the headquarters, into the United States," he said. Keeping Viterra's North American head office in Regina was a key concern of Saskatchewan Premier Brad Wall, who had led opposition to BHP Billiton's failed hostile takeover bid for PotashCorp in 2010. While he called head office promise "encouraging," Wall told reporters he wants to find out what exactly that means. "We know that some of the officers of Viterra today are in Calgary. It looks like those are coming back to Regina. So that's very positive," he said. Glencore says its offer for all of Viterra, however, is not conditional on the separate Agrium and Richardson deals being completed. Each of the deals will require regulatory approval to proceed. "I can confirm that the Competition Bureau will be reviewing the proposed transactions," a spokesman for the Competition Bureau told CBC News in an email. In general, the bureau reviews any transaction where the combined revenues or assets of the merging parties exceeds $400 million in Canada, a threshold Viterra more than reaches. Two-thirds of Viterra shareholders will also have to give their approval to the deal at a shareholder meeting in May. Alberta Investment Management Corp., Viterra's largest shareholder with a roughly 16 per cent stake or about 60 million shares, has already given its blessing to the takeover. For its part, the union that represents Viterra workers is fearful that jobs will be put at risk. 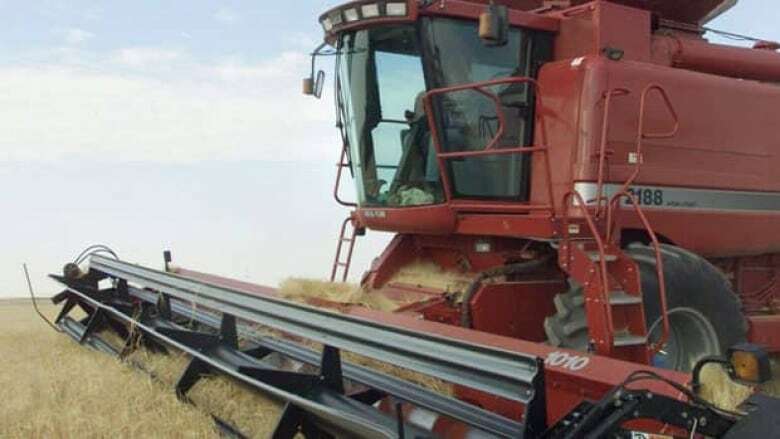 Hugh Wagner, general secretary of the Grain and General Services Union, says the $6.1-billion takeover is of grave concern for those who built the company. He says hundreds of jobs are at risk in the Regina head office, and there's the possibility of more job losses elsewhere in the province. Viterra shares closed down six cents at $15.91 on the Toronto Stock Exchange. The shares were at about $11 before the takeover interest was revealed more than a week ago. Glencore is confident the deal will go forward, and says further details will be forthcoming in a future release, but for now, the plan is for Agrium to acquire the majority of Viterra's retail agri-products business, including its 34 per cent interest in Canadian Fertilizer Limited, for $1.8 billion. And Richardson International will acquire 23 per cent of Viterra's Canadian grain-handling assets, certain agri-centres and certain processing assets in North America for $800 million in cash, Glencore says. The $16.25-a-share offer means the company as a whole is worth $6.1 billion. The offer is 48 per cent higher than what shares were going for on March 8, before Viterra hinted in a news release that it was negotiating with third parties about a possible takeover. The takeover offer comes as the company is poised to benefit from the end of the Canadian Wheat Board's monopoly on the marketing of wheat and barley in Western Canada. Viterra, formed by the merger of the Saskatchewan Wheat Pool and Agricore United, is a grain handler, marketer and food processor with operations across Canada, the United States, Australia, New Zealand and China.